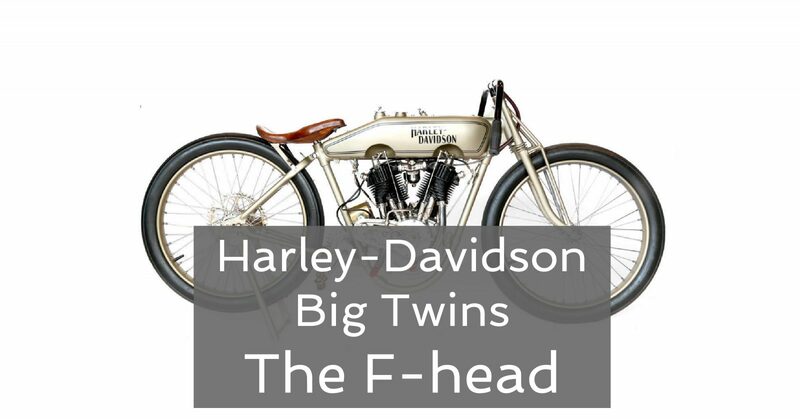 The F-head was the first in a long line of “big” Harley-Davidon V-twins, and it set a precedent that is still going strong today over 100 years later. This is its story. William S. Harley was a boy in Milwaukee who in 1901 got the notion that he would put an engine in a bicycle and he set about making it happen. Back then, young William Harley probably wasn’t really thinking in terms of starting a motorcycle manufacturing business, he just wanted to build a motorized bike. His friends Arthur, William and Walter Davidson were also interested so they came alongside on the project. Arthur Davidson was the one most interested but his interest was mostly in getting a motorized bicycle so he could get to good fishing spots more effortlessly. He was a keen fisherman and he wanted a motorized bike, perhaps even with a side-car to carry all his fishing gear and the fish he caught. Many years later in 1919 Walter Davidson would confirm this when he said “The business had its origin, not through any particular idea on the part of the starters of it that there was a commercial future for the motorcycle, but through the desire to make a motorcycle for our personal use“. By 1903 the young men had a decent working prototype and it was taken racing in the Milwaukee Motorcycle Race of 1904 where, ridden by a man named Edward Hildebrand, it finished in a respectable fourth place. These early Harley-Davidson motorcycles were single cylinder 440cc bikes with the engine developing 4hp. William Harley and the Davidsons got into limited production of kits that people could use to motorise their own bicycle and by 1905 began making complete motorized bicycles. During this time William Harley was leading a busy life studying for a Degree in Engineering at the University of Wisconsin, whilst doing waiter work, and working part time in a drafting office, and helping make bikes in their 10’x15′ shed. He graduated in 1907 but even the year before he graduated Harley and the Davidsons opened a new factory in what was then called Chestnut Street. Chestnut Street was subsequently re-named Juneau Avenue and it has been Harley-Davidson’s permanent home ever since. By this time William Harley and the Davidsons had realized that they had the beginnings of a viable business. In 1905 they had already acquired a Chicago dealer and their sales were doubling and re-doubling. So, once he’d graduated, William Harley was able to put some serious thought into what they needed to do to create a motorcycle that would sell in large numbers, including the potential for sales to police departments. In his thinking William Harley had grown past the “motorized bicycle for fishing trips” into planning motorcycles for large volume production. 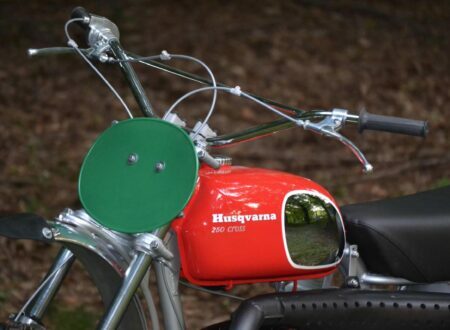 His thinking turned to engine power and he looked for a good but simple way to get more power from a motorcycle engine but to also ensure it could be made economically. The original Harley-Davidson engine had been a single cylinder 440cc Inlet-Over-Exhaust (F-Head). This design featured an inlet valve at the top of the cylinder head which was not opened by a cam but by the vacuum created as the piston moved on its down-stroke. The spark plug was also located at the top of the combustion chamber whilst the exhaust valve was in a side channel as in a side-valve engine. The F-Head design has some inherent strengths. By placing the inlet valve at the top of the combustion chamber it can be made proportionately large and it is efficiently located to distribute fuel/air mix into the combustion chamber. Similarly the spark plug is well placed to ignite the fuel/air mix when compressed. In fact the F-Head design is so good that British car maker Rolls-Royce was using it up until it created its OHV V8 in 1959. Another British car maker, Rover, produced what is widely regarded as the most sophisticated F-Head engine ever created. An engine that powered its post war passenger cars and was used in the long wheelbase Land Rover up until the late 1970’s. William Harley decided to keep using the familiar F-Head engine but to double its power by using two cylinders instead of one. In putting two cylinders together there are a few possible configurations. He cold have created a horizontally opposed engine, or put the two cylinders side by side, but William Harley decided to follow the lead set five years earlier by Hendee Motorcycle Company and put the cylinders in a V formation. 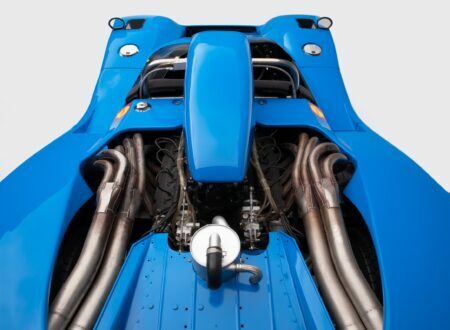 This served the dual function of ensuring efficient engine cooling by keeping the cylinders separated and keeping the cylinder heads and spark plugs protected by them being kept under the fuel tank and not sticking out the sides of the bike (as on a BMW for example). The V-twin layout also ensured there would be no need to re-angle the drive through 90° to get it to use a belt drive to the rear wheels. William Harley’s new V-twin engine was effectively two 440cc singles joined together on a common crankshaft creating an 880cc engine with almost double the power at 7hp. 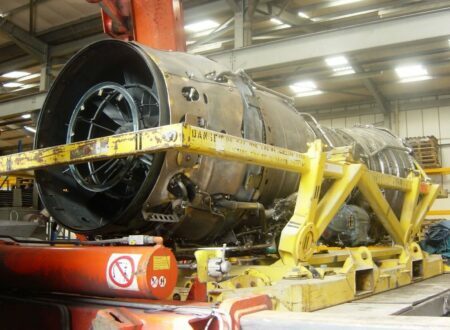 The engine was moderately successful but the use of the vacuum actuated atmospheric inlet valves limited the engine’s ability to rev at higher speeds. An additional problem with the atmospheric inlet valves was that they worked well enough on a single cylinder engine but did not work well when there were two cylinders trying to breathe through the same carburettor. 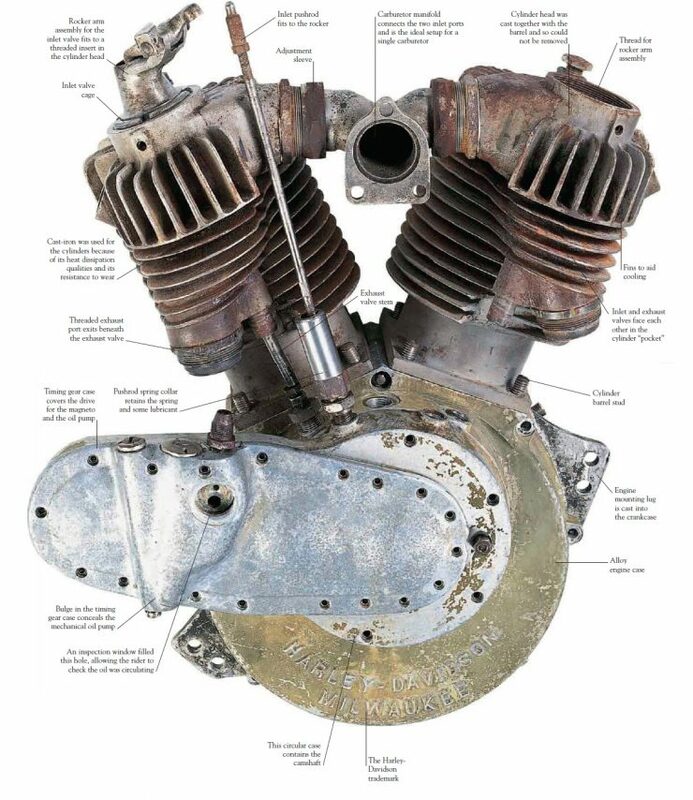 This problem could have been fixed by simply using two separate carburettors but William Harley realized he needed a better solution so he determined to re-design the engine. 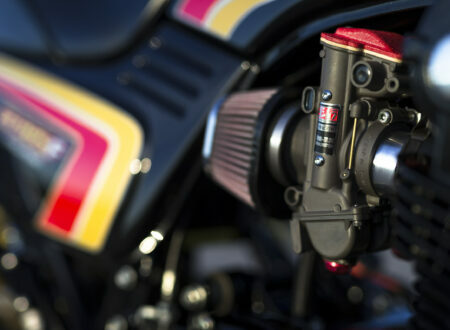 Thus the V-twin with the atmospheric inlet valves only remained in production for one year. William Harley’s new design did away with the atmospheric inlet valves and instead used an external push-rod and rocker. This new 811cc V-twin produced 11hp and was capable of revving higher. It was still a similar F-Head but had been morphed into an engine that would remain in production from its inception in 1911 until 1929 after which it was replaced by the Flathead V-twin. 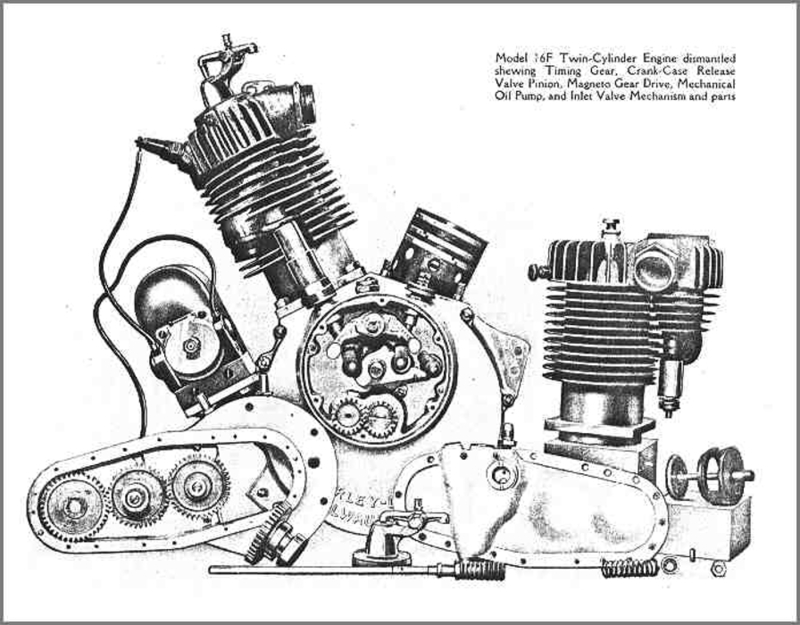 William Harley also moved the engine’s magneto from the front of the engine to the rear which had the effect of making the new engine look distinctly different so buyers were made aware they were getting something improved. 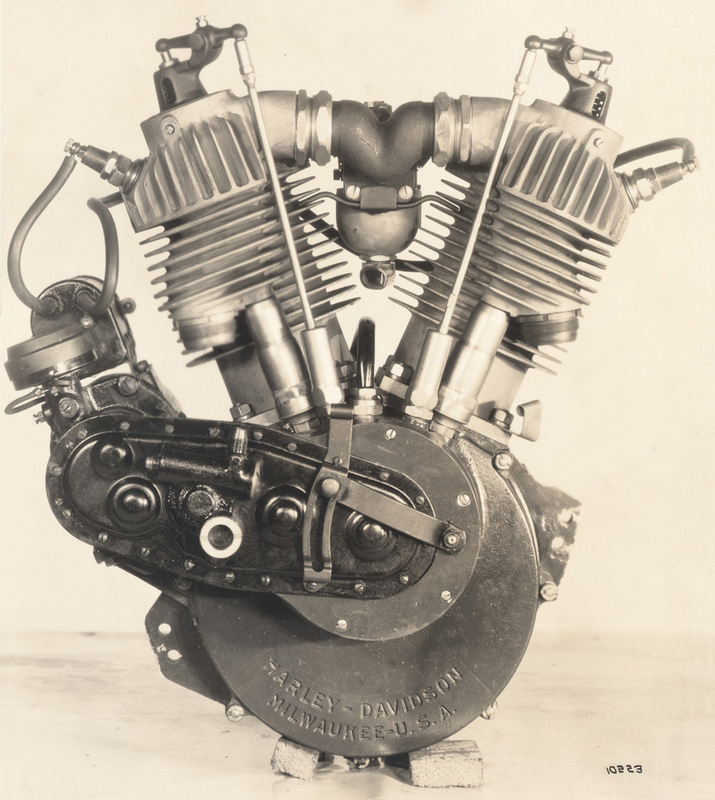 The engine was well received and by 1913 this was the engine powering the vast majority of Harley-Davidsons sold. 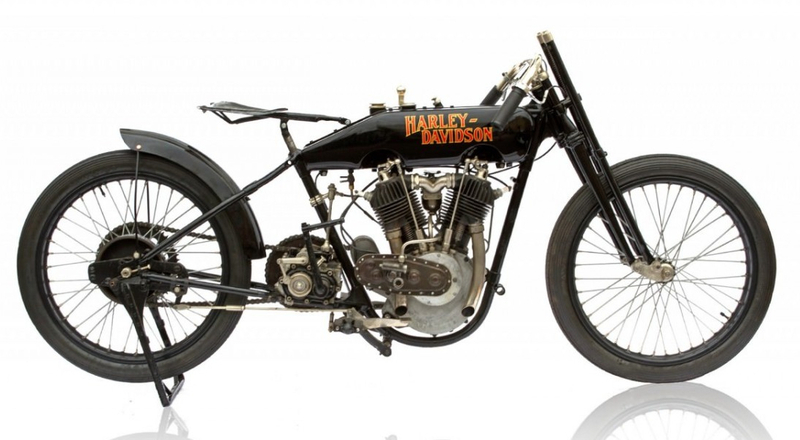 Harley-Davidson motorcycles were gaining more improvements than just the engine – In 1912 Harley-Davidson had introduced their “Full-Floating Seat” suspended by a coil spring in the seat tube. In succeeding years the gravity fed lubrication system was replaced with a mechanical oil pump, the original transmission was improved from a simple leather belt drive to a chain drive with a three speed gearbox, and the bikes electrics were also improved by fitting of a gear driven magneto generator which enabled the bike to be fitted with lights. By 1913 the small Harley-Davidson factory had been pulled down and replaced by a five story building which took up two blocks of Juneau Avenue and included space on 38th Street. 1914 production from the large new factory was 16,284 motorcycles, most of them fitted with the new F-Head V-twin engine. As sales continued to grow the Harley-Davidson name likewise became more and more well known. By 1910 there had been over 150 motorcycle manufacturers in the United States but this plethora was quite quickly shrinking and by the time of the 1929 Great Depression the handful that were left would be reduced even further finally leaving just Harley-Davidson and Indian standing as major players. Harley-Davidson motorcycles were selling well to government agencies such as police departments and also to the U.S. military. Harley-Davidson motorcycles with their improved F-Head engines went with the U.S. Expeditionary Force against Pancho Villa in 1916-1917 but the big demand came as the United States entered the Great War and troops were sent to join the fight against the German Second Reich. With the defeat of Germany in 1918 the first U.S. motorcycle to enter Germany was a Harley-Davidson powered by an F-Head V-twin engine. Harley-Davidson had provided over 20,000 motorcycles to the U.S. Army by that time. In 1920 Harley-Davidson produced 28,189 and had a national dealer network, and international dealer network that spanned 67 countries. They were the largest motorcycle manufacturer in the world and in 1921 set another milestone when Otto Walker became the first man to win a motorcycle race with an average speed over 100mph on his Harley-Davidson. In 1922 the original William Harley F-Head V-twin grew from 812cc to a substantial 1212.6cc (74 cu. in.) which ensured Harley-Davidson were making a bike that was the equal of the Indian Chief with its 1000cc (61 cu. in.) of 1922 and its 1210cc (74 cu. in.) of 1923. 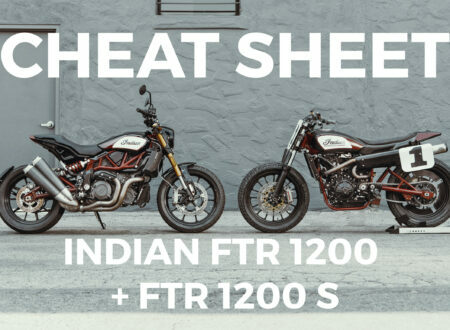 Not only did Harley-Davidson need to compete with Indian but also with the big Henderson and Ace four cylinder motorcycles. Competition between the four companies was quite fierce especially when it came to the prestigious and profitable police department contracts. 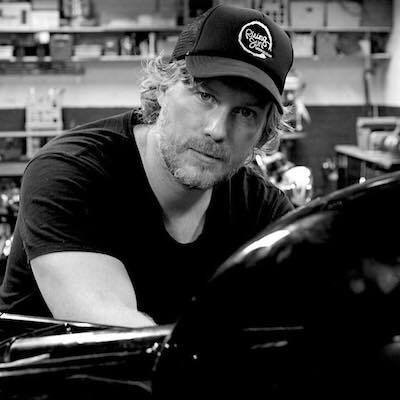 In 1929 even as the Wall Street Crash ensured that many if not most motorcycle and automobile manufacturers would disappear Harley-Davidson finally retired the F-Head IOE V -twin engine that had its roots at the very beginning of the company and in so doing brought to an end that first stage of Harley-Davidson’s history. 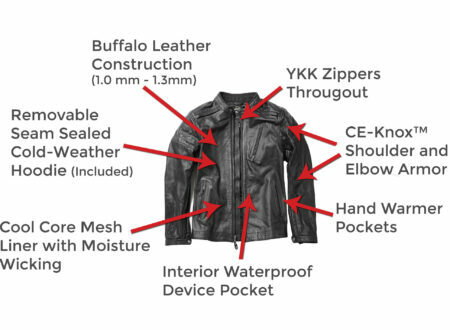 The company would be one of few that would weather the Great Depression and would emerge with a determination to continue and build on the pioneering legacy of William Harley and the Davidson brothers, Arthur, William and Walter.